Our home Wifi has been running on Netgear Orbi mesh networking platform (Available on Amazon) for over 2 years. Since switching to Orbi, the signal strength has been stronger than ever before, in every corner of the house. 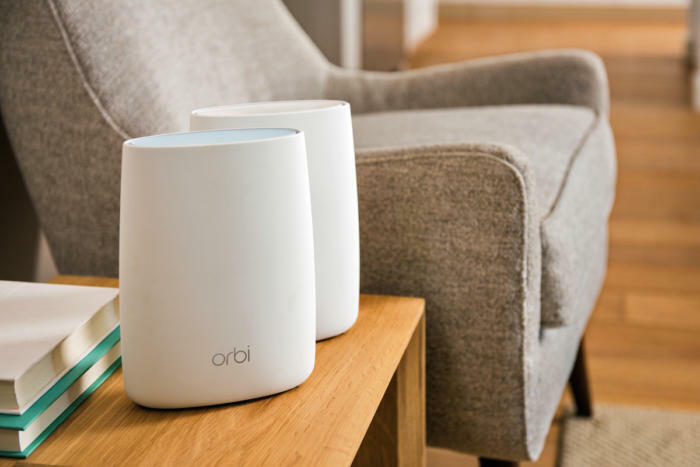 In addition to signal strength, the speed of the network is quite impressive – even with over 100 wifi devices on the network, Orbi exceeds expectations. Pro tip: physical location of Wifi access points (or nodes) is critical to optimizing signal strength and wifi speeds. It is highly recommend to experiment with various placements of your router/wifi extenders, especially before purchasing a newer router or mesh network to remedy your network speed problem. Check out this post for more location-optimization tips. If you explore the advanced settings of Netgear Orbi, you may run into a few options and features that aren’t very well explained by Netgear. Below are descriptions and recommendation for the various options available on Netgear Orbi router and mesh network. To access these settings, go to Advanced > Advanced Setup > Wireless Settings. These settings are only available if your Orbi is in ‘Router mode’. Here’s an overview of the most common settings. Keep reading for detailed explanations of each. Determining factors: Do you have 3 or more satellites? Then you likely will benefit from setting Daisy Chain Topology to enabled. Our recommendation for enabling this feature is only if you have 3 or more Orbi satellites (S) that are physically located, in relation to the router (R), like this: R-S-S. If you have just two satellites, or the multiple satellites positions are ‘hub & spoke’ (S-R-S), then leave Daisy Chain Topology disabled. Netgear provides a basic description of this setting: This feature only applies if you have three or more Orbi. When you disable this feature, Orbi Satellites can only connect only to the Orbi Router. Enabling or disabling this feature causes all your Orbi to reboot. For most homes, we recommend leaving MU-MIMO disabled on Netgear Orbi. If you have a MU-MIMO device (they’re rare as of this post), then you definitely want it enabled. If you’re unsure whether you have MUMIMO or not, you likely do not. Enabling MU-MIMO offers no advantage if you have zero, or even just 1 MU-MIMO device. Even with multiple MU-MIMO devices , the performance gains from enabling this feature are minimal at best. To paraphrase one of the wise old-heads on smallnetbuilder.com, MU-MIMO is the “3-D TV” of the wifi world these last couple years — a lot of glitzy hype, but no real substance. 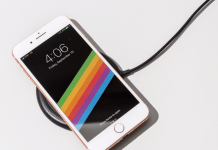 Some new consumer devices are rumored to have hit the market with support for MU-MIMO, including iPhone 8/8S/X/XR/XS, as well as the new Samsung Galaxy phones, and the 2017+ MacBook Pro. The info has popped up in reviews and comparison articles rather than as a statement from Apple, so I won’t swear to its authenticity. Implicit beamforming helps a bit with slightly older wi-fi devices, so it is our recommendation to enable this feature. It’s our understanding that implicit beamforming is only potentially helpful for older, non-A/C wireless devices (i.e. b/g/n 2.4-only devices). While reading Netgear’s support forums, some people do say: I only have a few of those in my house, and they connect perfectly fine with beamforming disabled, so that’s where I leave it. I’ve experimented with having it “on” too, and didn’t have any issues, but I also didn’t notice any improvements. So, in an effort to just keep things as simple as possible, I leave that option disabled. From our experience with Orbi, it’s recommended to set Fast Roaming to be disabled. Many Orbi owners, myself included, allege ‘fast roaming’ causes devices to aggressively switch between the various satellites, and the router, causing frequent connectivity disruptions when moving rooms or walking. This is an easy one. Just like all the other router’s we’ve gone through, we recommend leaving this feature disabled. We don’t have any devices that absolutely require UPnP to function, so disabling it keeps a potential security loophole closed. Even if you have some devices that say they require UPnP, it’s worth experimenting if the function as expected with UPnP disabled. Even if I have a device I know uses UPnP, I still don’t have to turn it on in the router, right? That’s right. Most modern devices needed UPnP can function without the Orbi setting turn ON. Which is better? Orbi or Eero? Eero seems to be a little cheaper, but is Netgear Orbi worth the higher price? Netgear Orbi offers more customization and settings in the admin portal. Eero is a great system, and has super simple setup, but doesn’t offer the full suite of settings and options like Netgear does. In terms of performance, the two systems are comparable. If you want to plug it in and never mess with the system again, I’d recommend Eero.